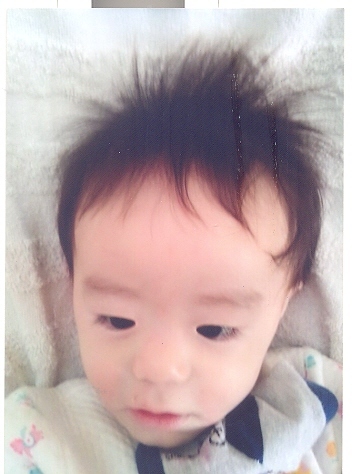 Levi was born in January 2014 has been diagnosed with Hydrocephalus and a mild hearing impairment in his right ear. Left ear tested normal. Levi was abandoned when he was around 6 months old. At that time he had a poor appetite and was weak. The staff felt his general development was somewhat delayed. In August of 2014 they said he was spiting up a lot and that may be why his body is so weak. At that time he wasn’t able to sit up on his own and his legs weren’t strong enough to support him when standing. In an infant chair he was unable to hold his head up without wobbling. Although his eyes were keen and he could follow movements of people and things, his facial expressions were not particularly clear. When poked he would smile a little. He is said to be very well behaved and doesn’t cry of fuss often. His favorite toys were musical toys. Levi is a cute little boy! He can sit and go from a lying position to a sitting position, but he cannot crawl. He can stand using objects for support. 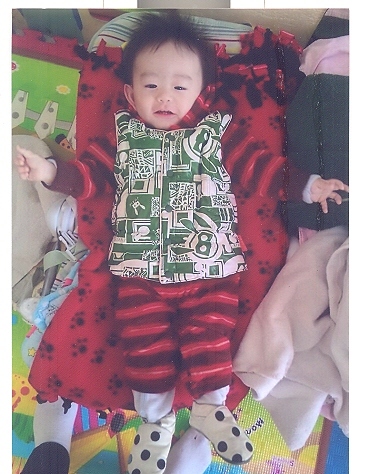 His general development seems somewhat delayed but he interacts and plays with other children. Levi smiles and laughs with those he plays with. He is not able to feed himself or imitate sounds. 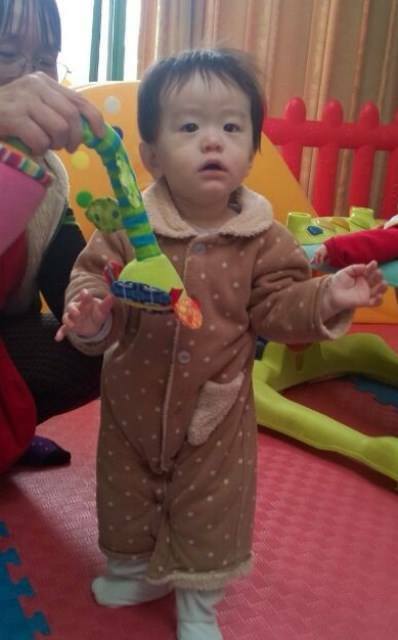 Levi has still not received treatment for his hydrocephalus, but undergoes sitting and standing exercises. How is his mental ability compared to peers the same age? He doesn’t talk yet, mental ability is delayed. How does the special need affect his health? He has hydrocephalus. Is he potty trained? No, he’s not potty trained. Please describe his personality in details? He’s shy, often needs to warm up with strangers. Once he gets familiar with people, he interacts well and likes to sit on laps and just hang out. Is he well behaved and obedient? He usually is, but he cries when you say no to something. How are his gross motor skills? He cannot walk yet, but he can crawl around, stand up by holding on to things on his own, and he can walk with support. How are his fine motor skills? He doesn’t draw, but he can pick up small toys. Is he in any kind of school? He’s not in any kind of school yet. How is his emotional development? Is the child attached to anyone? He’s attached to his caregiver, but can’t care for others yet. How are his social skills? Does he get along well with other children and adults? He gets along with kids and adults well and will play with other kids too. Is he under foster care or living in the orphanage? 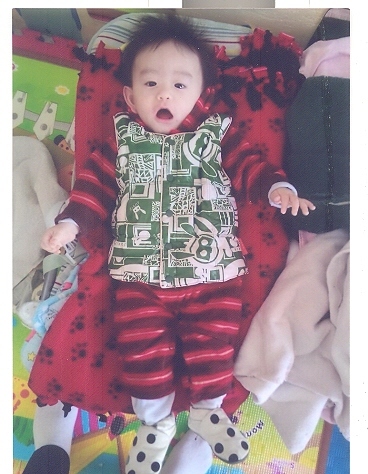 He’s under a foster care center called Shanghai Healing Home. How is the language ability of the child? He doesn’t talk yet. Levi working hard climbing stairs during his therapy session!